It's smiles all round for birthdays! 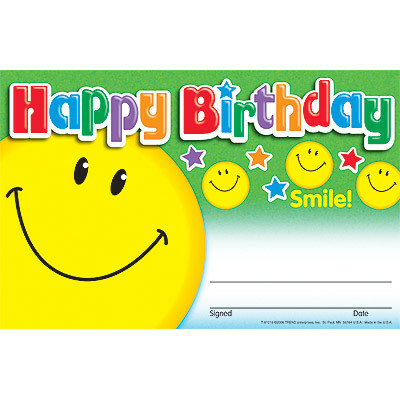 Present this happy birthday certificate to your children and see their smile spread from ear to ear! Kids of all ages will appreciate the extra effort you go to to acknowledge their special day.